An ebook’s back matter — the pages that follow the end of the narrative — is prime real estate for promoting other books. 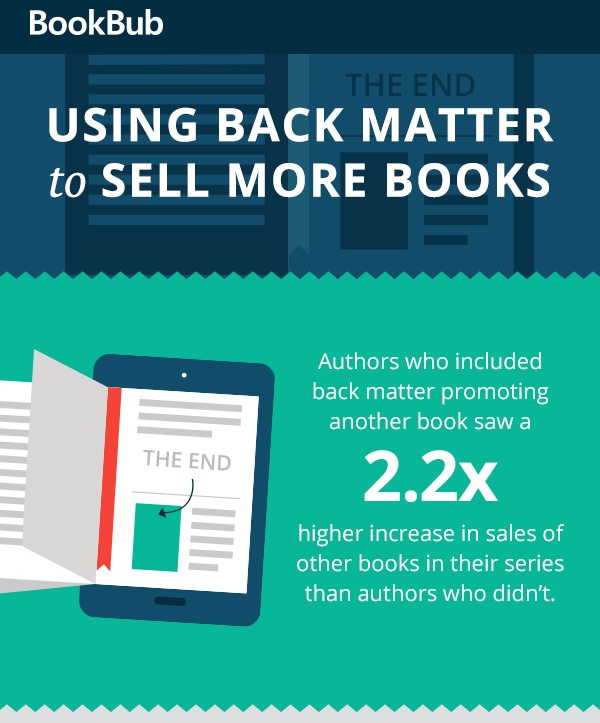 We surveyed 250 authors to gather data on how back matter promotions helped increase sales of their other books, and what sort of back matter promotions worked best for them. We created the infographic below to share our findings, and hope this helps you brainstorm about how to format your own books’ back matter. Find out more from Bookbub by clicking here for the original story!